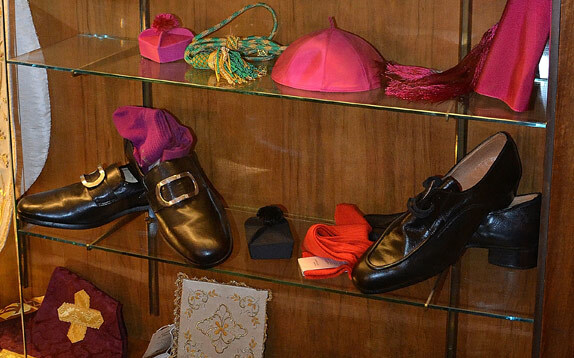 For over two hundred years the famous Gammarelli family have been at the heart of serving the clergy. From deacons to Popes everyone experiences the same courtesy and attention to detail.There is an old saying, 'you get what you pay for' this is certainly true here. 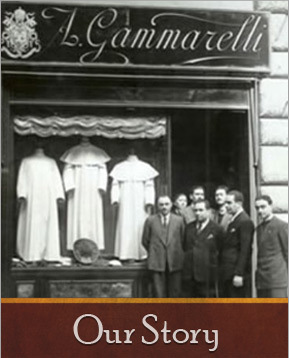 Quality is at the heart of the service offered by the Gammarelli family. We are pleased to announce that the Gammarelli tailors will be coming to the UK February 2019. We will be in Birmingham on the 4th and 5th of February St.Chad\'s Cathedral (10am to 6pm), Oxford on the 6th of February St. Stephen\'s House (10.30am to 4.30pm) and London on the 7th and 8th of February The Gammarelli Room, About Thyme, Pimlico (10am to 6pm). Full locations can be found on our contact page. We are anticipating a high demand so to avoid disappointment please make an appointment using the booking from on the right of the screen. However, if you are unable to book in advance please contact us via email or on our UK telephone number: 07500557953 and we will do our best to accommodate you.